Green tea has become known as a ‘super’ herb and thermogenic, making it the perfect addition to any natural fat burner supplement. Green tea is an extremely beneficial nutrient that’s able to improve the health of almost every organ in your body. Not forgetting that it can help you get shredded as f*ck, brah. 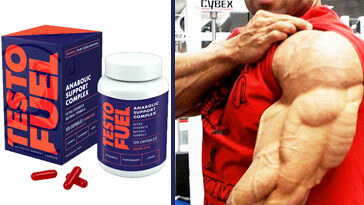 So you can see why it’s become a vital ingredient in fat burner supplements on the market. 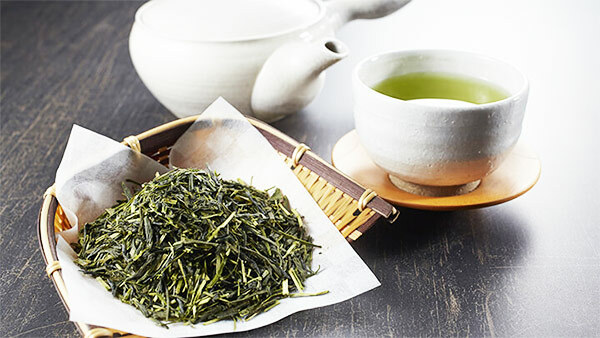 If you’ve clicked through to this article, then you’ll know what green tea is – a hot beverage. Green tea doesn’t just magically remove tons of body fat from your body. But that also means that it’s not BS too, bro. The reason why green tea has proven to promote fat loss is due to it containing high amounts of catechins; this is what makes it an effective thermogenic, as it’s shown to raise your metabolism . We’ve just mentioned that the catechins contained in green tea are what makes it really ‘tick’. Well, you’d have to consume a sh*t load of green tea (in the form of a hot beverage) to consume an optimal amount of catechins. We mean, around 6 or more cups per day, bro. The good news is that green tea extract contains high amounts of catechins and can be supplemented in pill form; this is the real reason why fat burners containing green tea extract is the most efficient and effective way to help push you towards that 6-pack physique. Green tea extract is definitely a key addition to any fat burner supplement. But not every ingredient in fat burners are safe or effective. You might be surprised to see yohimbe bark extract on this list, because it’s been fairly commonly added to fat burner supplements on the market. 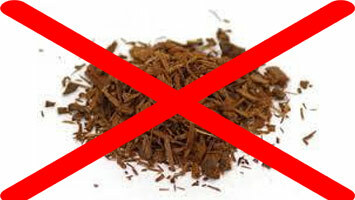 But it’s important to know that yohimbe bark extract has gained a reputation for causing a variety of side effects – not what you want. Bitter orange extract is another ingredient that’s commonly seen in fat burners. It’s understandable why, because it has shown to be capable of helping you lose fat. 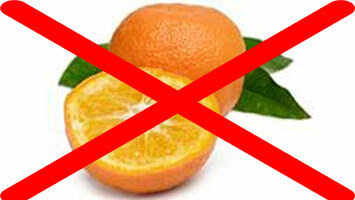 However, the bad news is that bitter orange extract has also shown to cause numerous side effects. As a result, it’s simply not worth risking your health by consuming supplements containing this ingredient. Especially as there are safer and more effective thermogenics available. Oofph. What’s that smell? 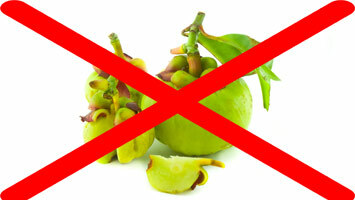 Oh wait, it’s garcinia cambogia. 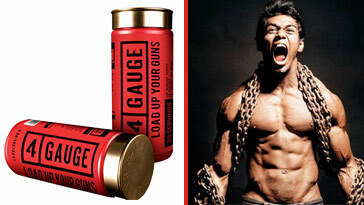 That’s right, this is among the most bullsh*t ingredients that you can find in fat burner supplements. Why? Because it gained attention for being a ‘miracle’ nutrient, but was later shown to be mostly ineffective. Respected sites including Women’s Health Magazine, and Dr. Axe have all slammed this ingredient – for good reason. Raspberry Ketones is another nutrient that’s been falsely claimed to miraculously help you shed the pounds. 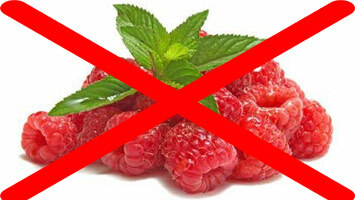 Since it was first added to supplements, raspberry ketones hasn’t had a good time. Many studies since show that it’s actually ineffective at promoting fat loss. The worst thing is that some companies are still adding raspberry ketones to their fat burners (probably in an attempt to cash-in on those unaware of its uselessness. So we’re here to advise you to try to avoid raspberry ketones. Yohimbe bark extract and bitter orange extract are the 2 main ingredients that you should avoid in fat burner supplements. However, there are a few other things that we will warn you about – to stay safe from potential side effects. We’ll put it out there, bro. 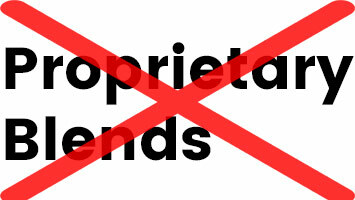 Proprietary blends are one of the worst things found in the supplements industry. Why? Because they allow companies to hide unknown dosages of ingredients and only show you the overall amount of the whole blend. That means you won’t know whether there are potentially harmful amounts of stimulants in the product containing the proprietary blend. What does this mean? Increased risk of side effects. Not good, bro. You’ll know yourself that there are many supplements on the market. 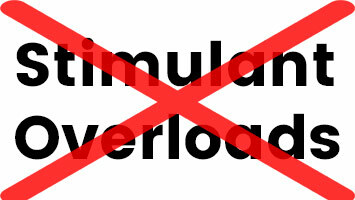 And overloads of stimulants has become a feature of fat burners, which isn’t a good thing. Why? Well, you’ve most likely had too much coffee in a short period of time before. This would have left you feeling jittery, eventually leading to an energy crash. As a result, we recommend finding fat burners containing just 1 stimulant in a sensible dosage – to stay safe from side effects. Finding a fat burner with green tea inside. Easy. But trying to find one that doesn’t include any red flags or potentially harmful nutrients inside is a nightmare. There aren’t many around, so you can imagine our headache when we tried hard, searching for a safe and effective product. Well, this was when we found Instant Knockout; it’s been used by UFC legends like Diego Sanchez, who used it to cut weight to a lower weight class – not bad, bro. So we ordered some, took it for a couple of months. And Instant Knockout produced the goods, brah. 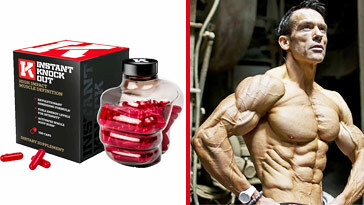 You have to take notice of a supplement if it’s used by professional athletes. Especially those that don’t give a f*ck about being knocked out while being locked in a cage. 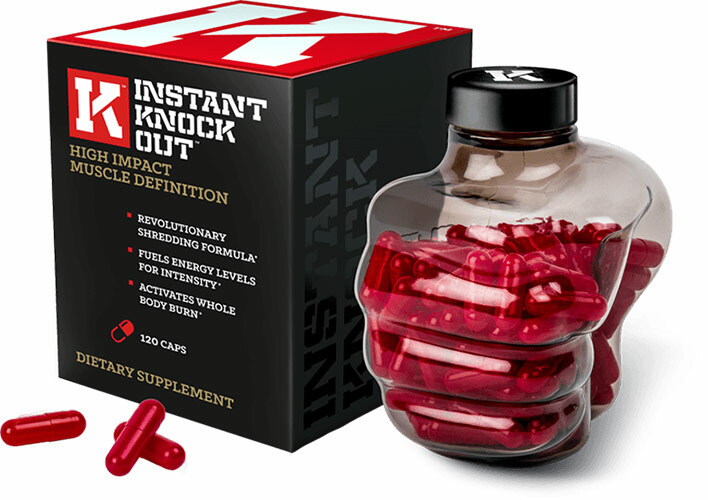 After researching further into Instant Knockout, we found that it only contained 100% natural ingredients, and an interesting mix of thermogenics including an optimal dosage of green tea extract. Another key feature of Instant Knockout that isn’t seen often, is its ability to curb your hunger due to containing glucomannan. Not only that, green coffee extract, cayenne pepper powder and a sensible overall dosage of caffeine keeps you safe from jitters and energy crashes. 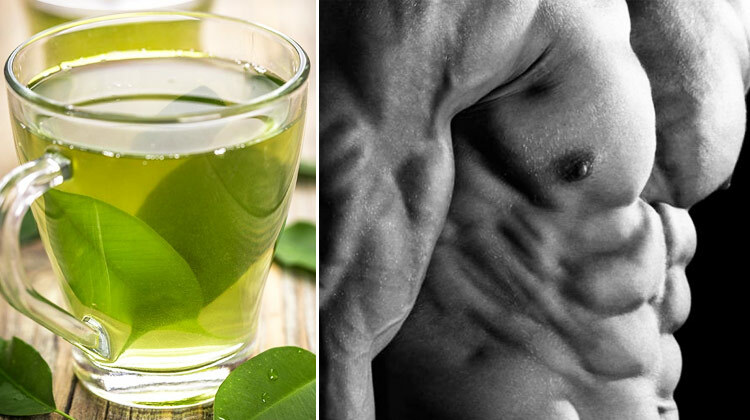 Green tea is beneficial when you’re aiming to shed some fat and attract the ladies with a 6-pack physique – that’s a fact, bro. In case you were a lazy f*ck and skimmed our whole article to come to the conclusion, we’ll give you a quick recap of why green tea is so great. Catechins are what makes green tea effective at promoting your fat loss; this is exactly why it’s considered to be one of the best thermogenics available. It’s much easier to consume an optimal dosage of catechins through supplements containing green tea extract. Otherwise you’d have to drink over 5-6 cups of green tea per day – that’s a f*cking lot of green tea, brah. In case you want to hate on the bros drinking green tea, it’s literally backed by clinical studies to help you get shredded – as well as help reduce cholesterol levels and just generally make you a healthier, better person. But we know that green tea can taste like the *sshole of your smelly ex-girlfriend sometimes. So we personally prefer consuming green tea extract through our #1 fat burner, Instant Knockout (it’s used by elite UFC athletes like Diego Sanchez). Nagao, T. Ingestion of a tea rich in catechins leads to a reduction in body fat and malondialdehyde-modified LDL in men. Am J Clin Nutr. 2005 Jan; 81(1): 122-9.